No hair colour is the same. And just like there are varying tones of blonde, you can bet your brunette bottom there are different shades of brown, too. 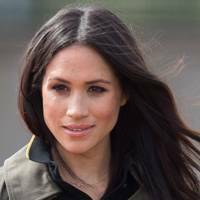 Whether you're after a dramatic dark chocolate hairstyle, a trend-setting 'Dirty Brunette' do, or a light brown hair colour to complement your fake tan, we've picked out the best celebrity-inspired brunette shades to take to your favourite hairdresser. 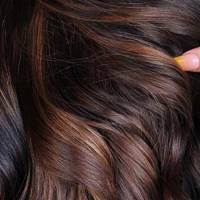 The latest brown hair colour to trend on social media is 'chocolate cake'. 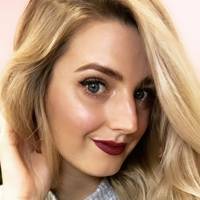 According to Arizona-based colourist, Liz Cook, "chocolate cake" hair is deep, vibrant, and relies on balayage highlights to emphasise the face. It also helps add brightness to the deep brown tones. She told : "The highlights are what will really set the color apart from other brunettes. Traditional brunette is a more neutral and slightly ashy color. This spring, however, it’s all about vibrancy and richness." 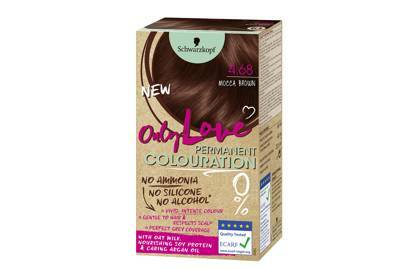 And if you're about to be brand new to the brunette gang, we recommend investing in a great quality hair dye like . With three natural ingredients within the formula; calming oat milk, nourishing soy protein and caring argan oil, Only Love is gentle to hair and respects your scalp, whilst giving intense colour and perfect grey coverage. Rinse with cold water. Turn the taps as far as you can bear to seal the hair cuticle after washing and lock in that colour and shine. Use heat protectant. Important for all hair colours, but particularly for brunettes who are hiding years worth of bleach underneath. Too much heat will cause faster fading. Looking to change things up from your regular ombré or balayage? Why not try fallayage? Sara Sampaio has ditched any sign of sunkissed highlights and instead opted for an all-over block colour brown. The best thing about this shade? 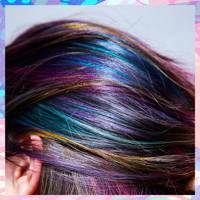 You can totally do it yourself with a box dye at home. Dakota Johnson has dabbled in almost shade of brunette, from a basically-blonde balayage to a deep brown chocolate. But right now we're loving her light brown glossy mane. 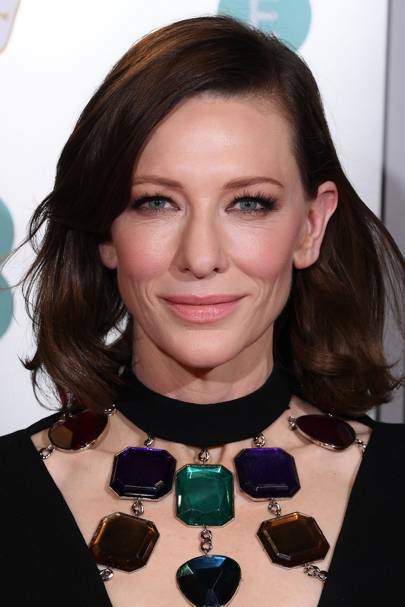 Cate Blanchett stunned on the BAFTAs 2019 red carpet for all the right reasons. 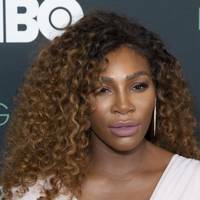 The actress ditched her blonde hair in favour of a rich chocolate hue and looked incredible. 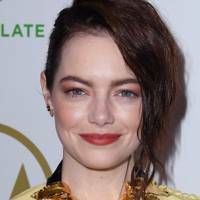 Emma Stone may have long championed red hair but the actress has taken the plunge and embraced a rich brunette hue for winter, pulling the look off with aplomb. Not quite ashy, not quite warm, ‘Dirty Brunette’ is the neutral, smokey shade, set to top the colour charts for 2019, according to Refinery29. Emily Ratajkowski shows us how it's done. 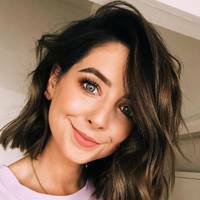 Do as Zoella does and trade in your balayage for something darker, richer and wintery. Blue-eyed babes will benefit extra from new the contrast. As we head into autumn, we're super tempted to reach for the bottle and dye our hair a rich, chocolate brown. The inspo? Kaia Gerber, who is rocking a deep brown hue as the new Global Makeup Ambassador for YSL Beauté. 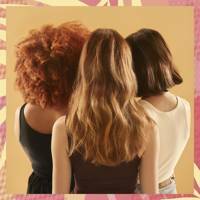 Whether you want to call it sombre, ombre, fallayage or balayage, brown hair with highlights is always a fail-safe choice. 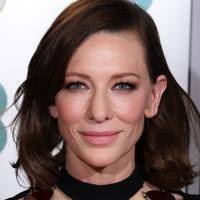 Jessica Biel's rich brunette is given some golden warmth with seamlessly blended sections of blonde. You don't have to go overboard when it comes to lighter sections. Take tact from Lily Aldridge and add some slight highlights to a small selection of strands. Added bonus: It will make wavy and curly styles look extra defined. A look that suits different skin tones and shades of brunette, Mindy Kaling also shows how well-placed highlights can add movement to an otherwise block-colour. 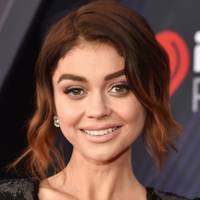 Ash brown is a very cool-toned natural looking brunette, and just like ash blonde, can lean towards a silvery-grey tone. Like Ashley Tisdale, you can mix things up with a warm brunette, but cool-ashy highlights. A popular choice for brunettes, chocolate shades can vary from a rich cocoa to a lighter milk chocolate. Hailee Steinfeld gives good inspo. 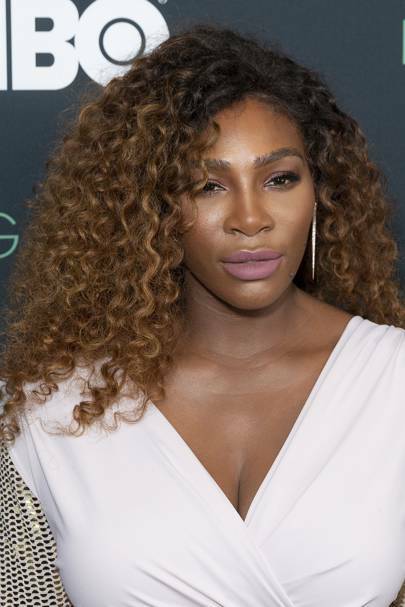 A tasty take on balayage; Serena's roots start off as dark chocolate but become slightly lighter from there on out. If going for a milk chocolate colour like Taylor Hill, shine is key to keeping your hair looking healthy. Try these hair masks and treatments for extra gloss. As dark brown as you can go before black, espresso is a stunning colour that looks especially chic in a sleek 'do, as seen on Mila Kunis. It's a shade that works especially well on warm skin tones, like brunette bombshell Em Rata. 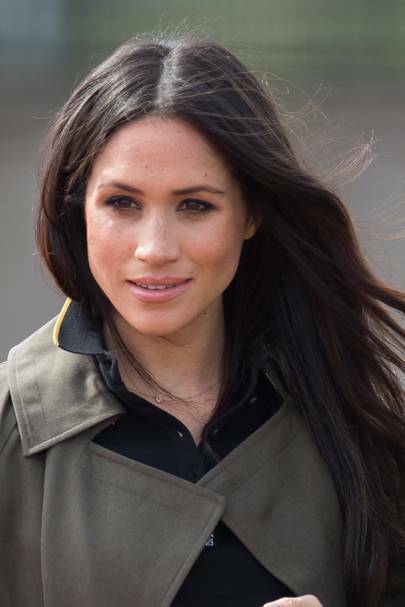 Meghan has maintained a lengthy dark mane since her Suits days, once citing (£31.70) and (£16.80) as her hair must-haves. After a temporary stint as a blonde, Selena is back to her signature espresso shade, which looks stunning when paired with a red lip. Kendall has never strayed far from her signature brunette shade, which is possibly why it looks so shiny and healthy. This shade works well with a strong brow, so you may want to consider tinting your eyebrows too, with your transition. Honey brown is the 'bronze goddess' of hair colours. It's a milk chocolate base with honeycomb highlights blended all over for a caramelised finish. Drooling yet? Lorena Rae knows how to show off her layered colour with some tumbling curls. This kind of style will also help to hide split ends between cuts. Jessica Alba has always been honey brown goals. The shade really complements her warm skin tone and dark brown eyes. But the best thing about this shade is it suits most skin tones. And if you do like Olivia Palermo and give it the super gloss treatment, you'll have a metallic bronze on your hands. Chesnut hair is named so because of the reddish undertones that bare a similar resemblance to the nut itself. 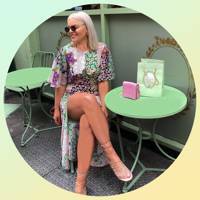 The colour can add warmth to fair complexions and can give you a little taste of the redhead life without going full throttle. Этот важный веб сайт со статьями про тестостерон пропионат цена.